Confession: I have an ongoing relationship with depression. I am not depressed, I don’t suffer with depression – I have a relationship with depression, one I’ve had since childhood. It often goes underground and becomes invisible. Occasionally it comes roaring to the surface as it has for well over a year now, but especially evident since January. As a creative, depression can be especially brutal for me because a big part of my symptomology includes very low motivation and flat affect. 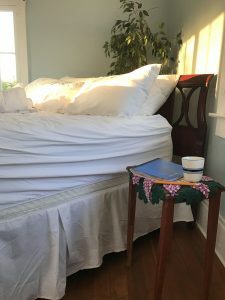 This morning I sat at my desk and I willed myself to write and in the process it occurred to me there may be many of you out there in a similar situation. What I was reminded of this morning is the effectiveness of creating mini-writing goals and games to move me from a space of not-writing to writing. The net result? I feel better. I would love nothing more at this point than to know I helped someone else feel better, too. I offer these suggestions as possibilities. Please try them on and write with them, at least for a day or two or maybe even three. 1. 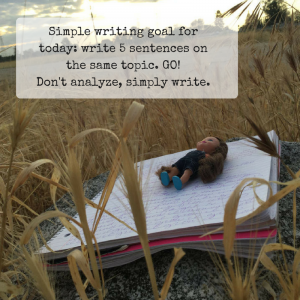 Make your writing goal game as simple as possible: write one sentence. Then another, then another. 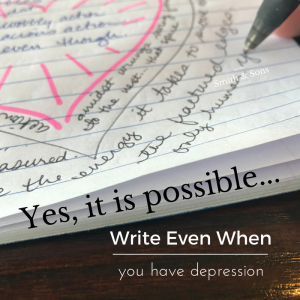 Often with depression we can’t even begin to state a goal like we can when we are not feeling depressed. That once shining, glittering project gets fuzzy and grows into your scariest version of the abominable snow man and the loch ness monster combined. Your first writing goal? Write five sentences on the same topic. Doesn’t matter if it is a paragraph and it doesn’t matter if it makes sense. Five sentences. Period. Find one person to report to daily or almost daily. Be sure to determine if that person is a match for you. I had an accountability partner briefly but her energy literally stressed me out more than I was so it wouldn’t work at that moment in time. Find a compassionate person who has your best interest at heart who is capable of holding a flashlight alongside you to illuminate your greatest accomplishments, not the glaring weaknesses you may be prone to see first and foremost, always. When your own words are exceptionally stubborn, search for quotes on topics you would normally be inspired to write about and then hand write those quotes into your notebook or journal. It may sound odd, but copying good writing often leads to writing your own good writing. Perhaps pick up a favorite novel and start copying a favorite scene from it, word by word by word. This is a writer’s block medicine that works every time. Don’t think it will? Try it, without attachment and let me know what happens. I heard my coffee maker call out, “Come get your cup! Drink it! Feel better!” so I think I will. I can hear the sprinkler outside the window and if I close my eyes I can feel the moisture in the air against my skin and pretend I’m close to the ocean or river or a like, maybe, rather than my Bakersfield living room. 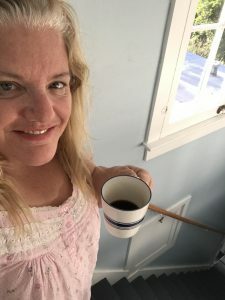 I started the day working, aiming to be pleasant and gracious when I wasn’t feeling it, whittling away time with people I didn’t want to be with in exchange for a few dollars as I contemplated sunrise and the possibility of exchanging my time for a substitute teaching gig. 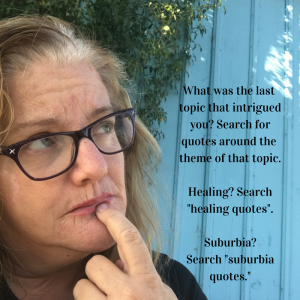 I think about my writing goals – actually my goals in general, and I think about what one might do to light that passion fire again, to once again see the potential in a project one once loved and since has sputtered out – victim of lack of oxygen and fuel. I sit with my hands under my chin, my eyes closed, and realize I could easily choose to fall back to sleep, to let my mind go numb again but something nudges me from the inside to continue typing, to keep getting words out – to light the way for others so that when they feel less-than-optimal they may read these words and remember there is a better, more companionable way. 5. Be open to enjoyment of the process. Depression is never fun and moments within it may actually be exactly the light we need to begin feeling better. When I actually write, I almost always feel better later. If you need help with this, we will be doing #5for5BrainDump livestream sessions on my Periscope Channel for the next two weeks. These WILL help you to write.